Welcome @Funkcanna Stick with it and you will certainly achieve your goal of playing songs, just be patient. im in search of a monthly song writing challenge and google has brought me here. I’m currently experiencing extreme writers block and a few challenges I’ve done on another site sometimes seems to pull me out of these “funks”. I’ve seen that you guys have challenges but can’t seem to find the thread on the site can someone kindly point me in the right direction? I’ve seen that you guys have challenges but can’t seem to find the thread on the site can someone kindly point me in the right direction? Welcome Andy! The Monthly Recording Challenges can be found in the Guitar Playing & Technique section. This Month's challenge can be found here. My name is Cliff McCartney. I was born and raised in Atlanta, GA, but now I live in the Great Smoky Mountains of East Tennessee. I serve as an administrator at a small private Christian university as the Vice-President for Administration. I grew up playing just about every brass instrument there is from 3rd grade and into high school. I've tried to pick up the guitar a number of times over the years, but I haven't ever broken through. I had a very busy and hectic career in software development from my 20s until my mid 50s. I simply didn't have enough discretionary time to get serious about music. I'm getting close to retirement now and I want to learn the guitar and learn it well. I've spent the last 18 months or so sort of groping for a program that will work for me. I've tried a couple of the big online sites, but I just haven't been able to get any traction. I'm drawn to the L&M Guitar course because of Steve and because of the curriculum. I like the plan and the support. I got the L&M lessons and bonus materials about a month ago. I'm almost done with session 3. I have a Taylor 314ce LTD cedar over rosewood acoustic and an Epiphone ES-335 semi-hollow electric. I use both when studying the L&M material, but I mostly play the Taylor. I also have a Jasmine S34C NEX I keep at the office for when I need some six-string stress relief. Looking forward to learning from and with y'all. Hi, Cliff! Welcome to our guitar family! The guitar-in-retirement story is a familiar one in these parts. I like to direct the new folks to my reading list. With your background, you obviously won't need the basic resources, but there are some there that you might find helpful. The answer key to the lesson book is here. Enjoy the journey. PS / Here are some Resources for Study. Welcome @CliffMcCartney it is great to have you with us. If you get stuck on anything or if you need any advice please do post. There are lots of people out there who will be more than pleased to help ( myself included!). Anyway, keep us updated on how you are doing.? Welcome @Andy Social. Yes! I find the recording challenges good for inspiration too. Having a topic already chosen helps to concentrate the mind. I have written a few songs and posted them there (mine are very beginner). We have some very talented song writers here too. I look forward to hearing your songs. ? Welcome to ALL of the Newcomers to the Group.  I believe you have Found the Group to be in to Either Learn to Play Guitar or Advance your Guitar Playing Skills. This is an Absolutely Amazing Group of People who enjoy Helping Others accomplish their Goal of Learning or Advancing their Guitar Skills. I find Steve Krenz to be Among the Very Best of Guitar Instructors also. The Key to Success here is Commitment. Without True Commitment you will likely never accomplish your Goal. From Personal Experience I can assure you if you are Truly Committed to learning to Play Your Guitar at Whatever Level you Desire, You Will Accomplish It. While I am Certainly NOT Professional Grade, I have accomplished Skills I never thought Possible for myself. When I would hit a Wall and Need Assistance to get me Through....there were always Many of the Advanced Students here more than willing to Happily assist, Never Any Negative Comments. I don't find that to be True of too many Groups here on the Internet. Steve and many of the Students here have worked tirelessly to provide us a Place to Meet and Learn with limited Harassment from outside troublemakers. I believe each of you will find this Group Very Unique and Pleasant to learn amongst, I do hope All of you find this to be True also. In Closing I want to THANK Steve and ALL of the Learn & Master Guitar Students at ALL Levels who helped me in My Journey to Date. I hope to be able to Help Others coming Up thru their Journey in the Future as Well. I certainly Learned ALL I Know from one of the Most Caring Groups I have Ever Been Associated With. I'm a new Oldy member. Was a regular L&MG forum member since 2008. Havent been here for a couple years and recently couldnt find the Forum until an old Guitar Mate from Chicago 'Earth47' sent me an email with the new location of the Forum. 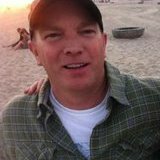 Welcome to the new forum Peter @Slug it is great to have you back with us! I'm a new Oldy member. Was a regular L&MG forum member since 2008. @Slug, I'm really glad your mate gave you the new address and that you're now here. And looking forward to your contributions. Location: Up the road a ways. Good of you to check in Slug! There are a few of us that remember the MooMoo Papas wasn't it? Good to see you back Slug.. and all our new members too ! Hi @Slug Peter; Welcome back too... I am curious (as moderator) about your statement "couldn't find the Forum etc. " There are plenty of references on the "old" Learn and Master Guitar (Legacy Learning Systems) Student Forum about our move here in Jan 2018. Did you not look there first or was their site down or ? Of course we'd love to have all our "old " members back, so any way we can facilitate that would be a help. You can send me a Personal Message if you prefer. Please allow me me to introduce myself ， My name is Kee who is 31 yeas old man, and have 9 years cello learning experience (8-17), teaching digital media art in the university. The most important identity about me is that I am an expectant father, supper happy when I got this news, also for this reason I made a decision that to learn how to play solo guitar , especially want to learn the way of how Mr. Pierre Bensunan playing style , hoping one day I could play Pierre 's music like "wuwei" with my kid. I did some research works , I found that there are too much methods to learn how to study this instrument，even too much kinds of guitars can be chosen(etc,.classical, acoustic guitar ) . so , I want to ask some questions to other experts who know the learning path of solo guitar. I will post questions below , hoping I get the answer From here . Many many thanks. Should I need to remember every chords for learning Fingerstyle guitar? Whether I should learn classical guitar first ? Welcome to our guitar family it is great to have you with us. Congratulations on your exciting news, I bet you will be a lovely dad. I can offer you answers to questions 2 and 3 together because they are interlinked: I would recommend doing the Learn & Master Guitar course first, I think people are saying that you can switch over to the Fingerstyle course when you get to Session 11 in the Guitar course. 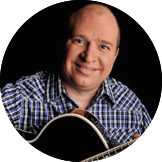 I believe you will need to learn the chords in order to do fingerstyle as they are often used in fingerstyle, but the Guitar course will help you with that. The Learn & Master Guitar course is an excellent foundation for guitar learning (probably the best on the market) but I am not sure about how it lends itself to classical guitar as classical guitarists hold the guitar in a different way and it is a much more disciplined way of playing. I have not gone down that route. Yamaha﻿﻿ Sl﻿g﻿﻿2﻿0﻿0s﻿ ( my wife's gift) , ﻿﻿﻿﻿? that will not wake your baby! Keep us posted on how you are doing and keep asking questions! Welcome @moopapa! Teaching digital media art﻿﻿﻿ in the university sounds interesting, I am a graphic designer myself. @moopapa, welcome to you. And, yes, keep us posted on your progress. I firmly agree with the advice Mandy just gave you. Don't open up the Fingerstyle course until you have finished Session 10, which is the one on Fingerstyle. That will provide you with a strong foundation to then start the specialized course. At that point you can decide whether to continue with L&MG along with the Fingerstyle course, which is what I recommend, or switch over to just the Fingerstyle course. I suggest continuing to work them concurrently because there is much more material yet in L&MG which is going to benefit your overall playing. As examples there are sessions on advanced chords, pentatonic scales, advanced strumming and more. But I realize there is a finite amount of time. And you are soon going to have less of that commodity! ? As far as which chords to learn, I think that will become self-evident as you work through L&MG. There are sessions devoted to the open chords, minor and 7th and suspended chords, and barre chords on the 5th and 6th strings. Best of luck to you in your guitar learning journey. Thanks for all replying to my questions, I do really really appreciate it. Finally, I find a very very nice place where can get useful information, I can feel the warmth from here. You guys are fantastic. yes! yes! yes! Everybody knows that as a self-learner for any project, they usually feel lonely, spent too much time on useless things and easy to give up. but, now I believe that I could learn the guitar well by the assistance from your guys. one more time, thanks to all. According to the feedback from you guys, I make a learning plan below. 2 Add "A Modern Method for Guitar - Volumes 1" as long as I finish unit 6. 3 Begin to learn "learn & master fingerstyle " guitar program. 4 I will create a youtube channel to record my learning process. If I remember right, I think you were a big Fender fan??? Hope all is well and happy to have you back with the family.